I have been lusting after various A-England colors for the past couple of years and never had the opportunity to actually buy any until recently. Using a promo from last month, I explored the new The Legend collection and fell in love with almost every color! However, I had decided I was only buying two polishes and therefore had to decide. My first choice was Princess Tears because I have never owned a holographic polish before and its soft lavender shade is one of my favorite colors. I also really wanted Saint George, but sadly that color was sold out. So, I settled for Order of the Garter instead and ended up being very happy with the outcome. I will do a post on OotG later this week. 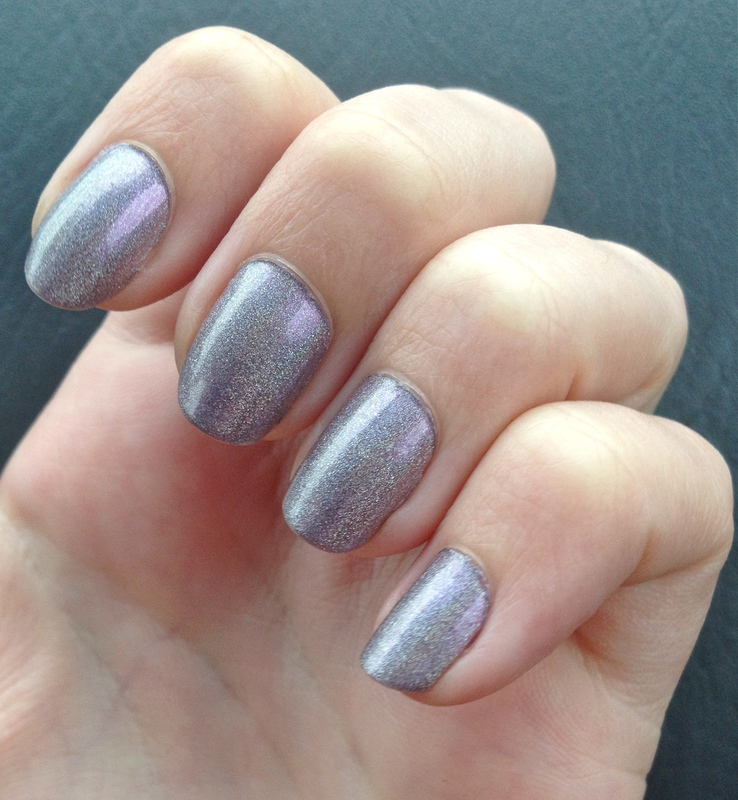 As for now, I present to you my new favorite polish: Princess Tears. This first picture was taken in a dimly lighted room, and it truly shows the silvery/gray side of PT. 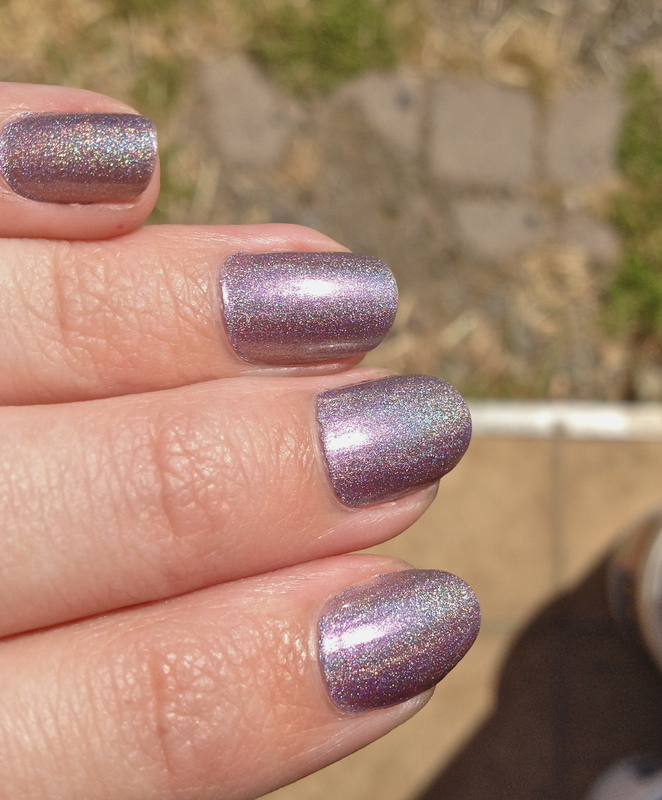 Though I really liked the duo chrome effect, I loved the holographic sparkling lavender color so much that I sought out every patch of sun I could find. 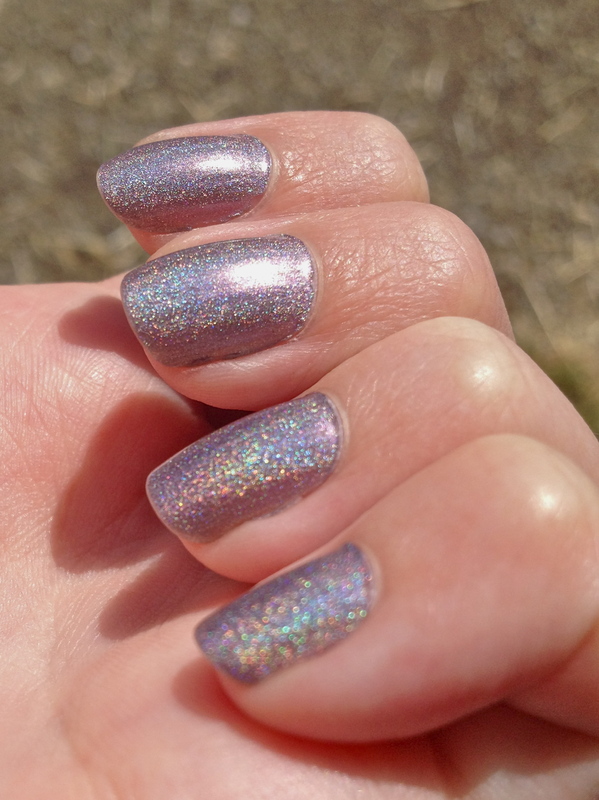 What better way to start my summer in California than with that beautiful holographic sparkle! I even took a close-up in an attempt to capture this polishes true beauty. While I am fairly satisfied with the way this polish showed up in these pictures, I would definitely encourage all of you to try this polish in person. It will definitely get a lot of usage from me this summer!